SHENEQUA was born in St Thomas U.S. Virgin Islands and raised in Miami, FL within the Caribbean culture. 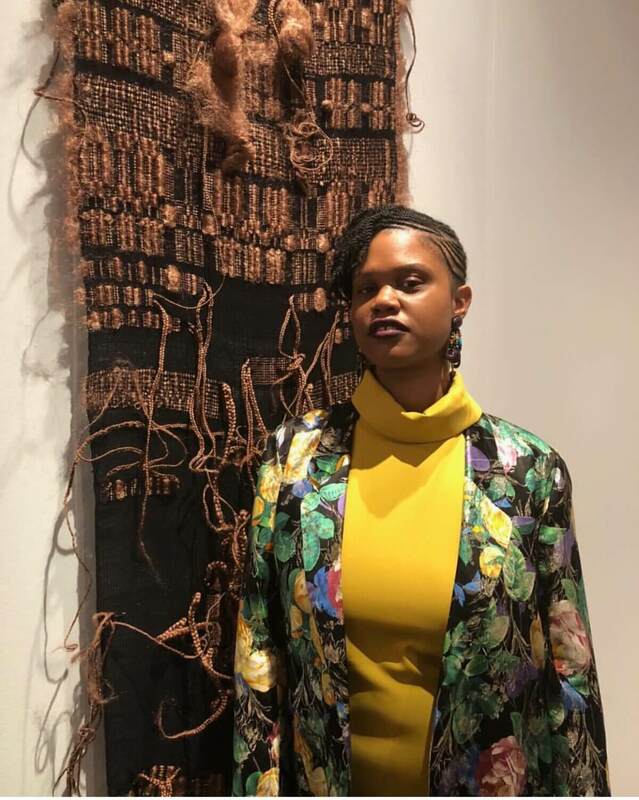 Always fascinated with West African textiles, specifically Ghanaian woven cloth, SHENEQUA embarked on a formal academic journey at Kansas City Art Institute, and School of the Art Institute of Chicago that landed her on African soil. The artist’s current practice that focuses on elements of textile design, hair design, and fashion design, was originally honed by her upbringing. “My mom used to chant every day when I was growing up that it doesn’t matter where you come from, or how much money you have—always look good! Always look prosperous! 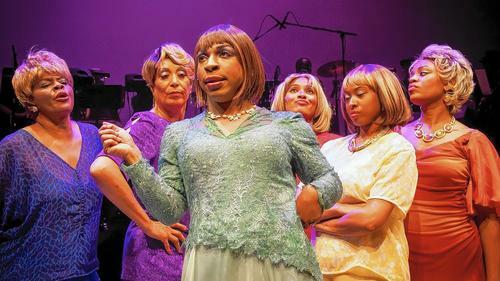 So, we lived in the malls—every week we were shopping, every week we were getting our hair done.” SHENEQUA chuckled, as she explained her family’s culture of self-presentation. This concept of presenting oneself impeccably is well known among Black peoples globally, connecting back to the fastidious practices of hygiene, self-adornment, and elegant clothing styles of the continent. 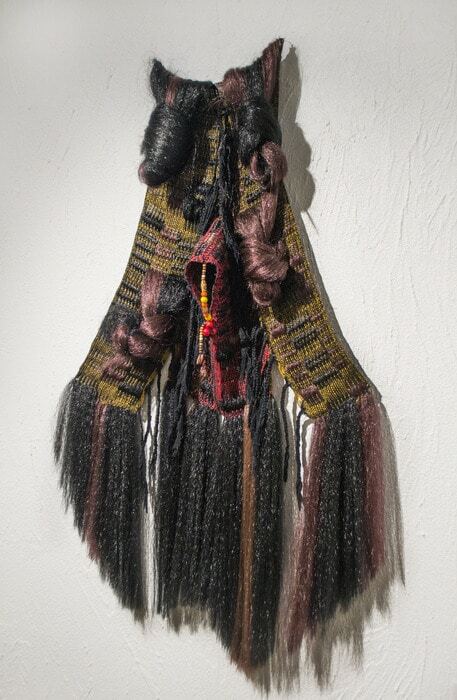 Above: SHENEQUA, Hair Dress, 2013, cotton & synthetic-hair. Photographer: Silvia Abisaab. SHENEQUA’s work combines two elements that have historically contained tension within Black culture—hair and clothing. These tensions were brought to the fore within the antecedent work of photographer Kwame Brathwaite who documented Black beauty during the 1950s and 60s, emphasizing an aesthetic paradigm shift, thus creating the Black Is Beautiful movement. During this time, Black women were embracing their “natural beauty”, steering away from European standardized ideals of straight, long hair, keen facial features, and Westernized clothing. Black women chose Afro-centric methods of braiding, and styling hair in its natural state, opted to wear less makeup, and embraced modes of regality found in traditional African clothing and jewelry from various countries of the continent. Twists, coils, knots, braids, a comb, a roller and even a relaxer, are elements of cultural nostalgia for many Black women, all working within the collective memory of Black haircare. It is important to qualify this kind haircare within the realm of blackness, for the rituals and praxis are distinct among people of African descent. For many women, these rituals served as a rite of passage. It is a sacred time, a time for washing and detangling hair, exchanging secrets, oral histories, and important life lessons passed down from a matriarch. Most of the ambitious patterns found in the artist’s work stem from SHENEQUA’s lifelong affinity for geometric shapes and concepts of love, joy and intimacy. A breaking in a pattern’s consistency is often experienced within the woven textile, SHENEQUA’s handwork and thought process often gets disrupted by a spontaneous braid, bantu knot, or coil, sporadically appearing within the patterns. There is an emotional quality to the work that appears as if the artist is in conversation with her own memories while weaving. Above: SHENEQUA, Dia-Triangular Cut, 2014, cotton & synthetic-hair. Photographer: Silvia Abisaab. Weaving is just not a meditative practice for SHENEQUA, she explains that it is very physical. There is a numbness she experiences while weaving, an escape into the rigor of the process that positions her at the weaving loom for hours, often unaware of the time she has spent working. In 2014 That same rigor and dedication to her craft lead her to a three-month apprenticeship in Ghana. Immediately when she landed in Ghana she thought “This is the Caribbean!” The familiarity of the place was instant. She was home. Within many Western cultures, the art of weaving is often considered a practice in the feminine and domestic domain. In African countries like Ghana, weaving has been traditionally regarded as a man’s job. Young boys as young as six often enter a lifetime of weaving as apprentices to the craft. Kente cloth is just one of the various textiles created in West Africa, and perhaps the most celebrated. Kente cloth presents a technology of weaving that is far more than decorative. It is a cloth that communicates, story, ceremony, sacred ritual, celebration, and history—the elements of advanced societies. Though Ghana, at times felt strongly familiar, SHENEQUA had to grapple with cultural differences and language barriers. She worked with a male instructor for the first time, an interaction that challenged her connection to weaving that was rooted in her relationships with women. Her apprenticeship took place in the town of Anloga, Volta Region of Ghana, home of the Ewe people, who like the Akan people, are known for creating dynamic contrasting patterns within Kente cloth, that was originally made of silk. SHENEQUA was met with challenges instantly as she worked on a large hand made loom specifically constructed for her. The humidity and heat index of Ghana’s tropical climate often competed against the artist’s will to create, so her instructor built a shed for SHENEQUA to weave under, sheltering her from the elements and enabling her to reconnect with the rigor of weaving. The confidence gained from her training in Ghana not only appears in the artist’s latest works that strongly reference Kente cloth, it also radiates from her being. “I am my work!” SHENEQUA proclaimed when I met her last fall at EXPO Chicago. She led me to the booth that was dedicated solely to her work. What I found was compelling. Large scale, hand woven textiles that emanated nostalgia and love, made from hair, hung from the make shift gallery walls. I watched SHENEQUA draw spectators near as she explained her work, and I noticed how impeccable her own hairstyling was— the interwoven geometric patterns of Black hair braiding were displayed on the artist’s person as an additional piece of artwork. Recently, SHENEQUA created a program called: To Weave Your Dream Artist Residency. It is a 3-month one-on-one program supporting artists and creatives, especially women of color, to be aligned with themselves in relation to their art practice. After having her own coach, Michelle Gomez, SHENEQUA realized how every artist could benefit from having a coach of their own. She offers her services to artists who feel stuck in their practice or just need an extra push. She aims to help fellow artists move past elements prohibiting them from reaching their higher self and connect them with a larger community of Artists & Creatives that are aligned with their interests. 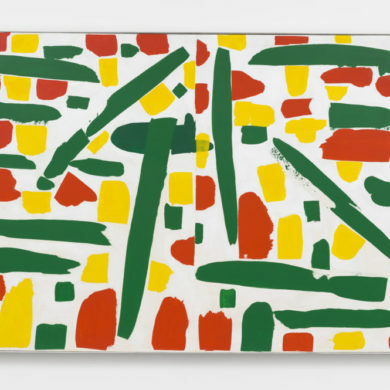 SHENEQUA is in a three-person show with Demetri Broxton & Victor Yañez-Lazcano at Patricia Sweetow Gallery, San Francisco, California from May 29-July 6, 2019. https://www.patriciasweetowgallery.com/upcoming-exhibitions/#exhibition-listing-2.